Our mobile devices have become an indispensable hub of critical information. 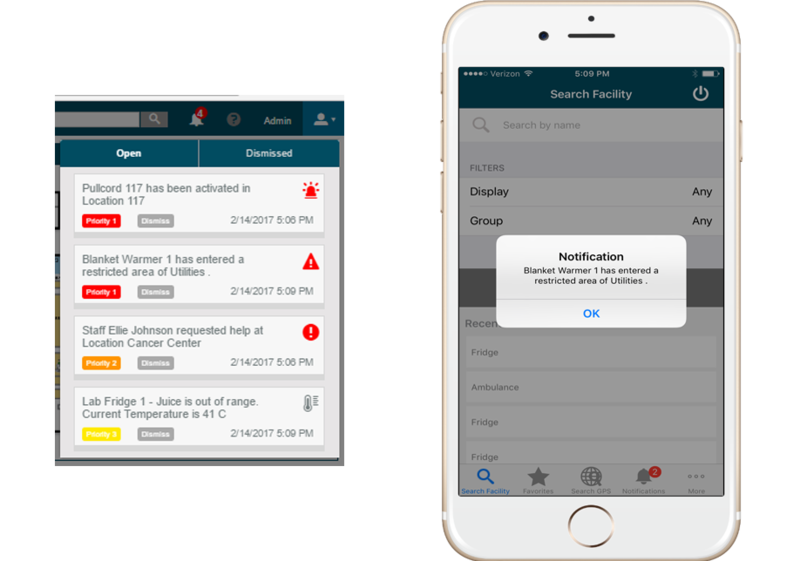 ZulaFly’s Fuzion app ensures urgent workplace alerts reach the correct people in a timely manner, even if they’re away from the office or jobsite. Users can take advantage of ZulaFly’s features and functions in the palm of their hand wherever they are. Fuzion mobile allows alerts and notifications to be delivered to selected groups of recipients. These alerts can be received anytime, anywhere, empowering you and your team with vital information that allows immediate responsiveness to emergencies as they arise. Whether you have an iPhone, Android device, or any tablet, including iPad and Microsoft Surface. Fuzion delivers a customized dashboard interface that gives you the critical information you need within in ONE view. No more clicking, sliding, and dragging dozens of times to find the maps and data that are pertinent to your daily workflow. Fuzion helps you cut the data clutter and get directly to what’s most significant. Viewing data, receiving notifications, finding equipment, or even adding notes to an out-of-range fridge or freezer are examples of the powerful information the Fuzion mobile app brings to your workplace. No matter where you work, if you’re a business manager, supervisor, leader, or owner, it’s important to have immediate access to critical alerts at work, home, or on the road. Whether you work in a factory, construction site, hospital, nursing home, senior center, hotel, resort, elementary school, junior high school, high school, or college, these are all examples of places where serious issues related to safety and security can be minimized when you are able to quickly react to a situation. ZulaFly’s Fuzion software provides alerts, tailored just the way you want them, to go to any device you wish. Send alerts to any smartphone including Samsung,Apple iPhone, HTC and more. Alerts can also be sent to your desktop computer, Mac or PC laptop, Apple iPad, or other tablet.